Authorities in Britain, Sweden, and the United States have arrested eight more people in the wake of the shutdown of the Silk Road, online illegal drug marketplace which helped dealers sell drugs under the cloak of anonymity. Millions of Dollars worth of Bitcoins (Electronic currency) had been seized and that other online drug dealer should expect a knock on their door by the National Crime Agency. The other suspects were arrested within hours after the FBI arrested 29-year-old Ross Ulbricht, the suspected creator of Silk Road also known as "Dread Pirate Roberts". Although, he denies charges that he operated the website. Ulbricht is separately accused in a federal indictment in U.S. District Court in Baltimore with a similar count of narcotics trafficking conspiracy and additional charges of soliciting an $80,000 murder-for-hire of a former Silk Road employee. A federal judge on Wednesday ordered that Ulbricht charged with operating a notorious online drug marketplace known as the Silk Road to be sent to New York to face charges. The so called - Hidden site, Silk Road used an online tool known as Tor to mask the location of its servers, that made it difficult for authorities to know who was using the website. 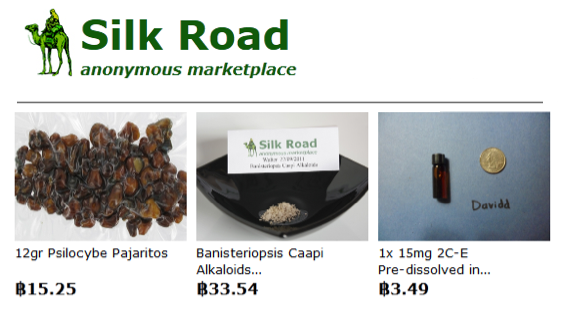 The site generated about $1.2 billion in sales of heroin, cocaine, ecstasy, marijuana and other illegal substances in less than three years, with Silk Road's operators netting $80 million in commissions. People using the site to buy drugs also used the virtual currency Bitcoin to lessen the chances of being detected. But in its statement, the agency said the arrests sent a message to criminals that the anonymity touted by sites like Silk Road is an illusion. "The Hidden Internet isn't hidden and your anonymous activity isn't anonymous," it said. "We know where you are, what you are doing and we will catch you." Keith Bristow, director general of the NCA said hidden or anonymous online environments were a key priority for the NCA, which had 4,000 officers and the latest technology at its disposal to tackle the problem.